Get a review of the latest culinary gadgets, kitchen technology, and cooking techniques. Find out what they can or cannot do for you. 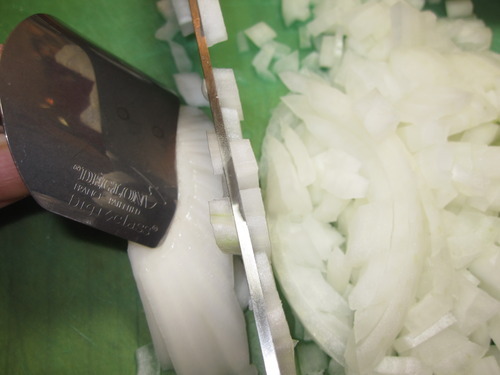 If your knife skills are not quite up to par, you might just want to check out the newest gadget to aid the less-than-confident slicer and dicer. 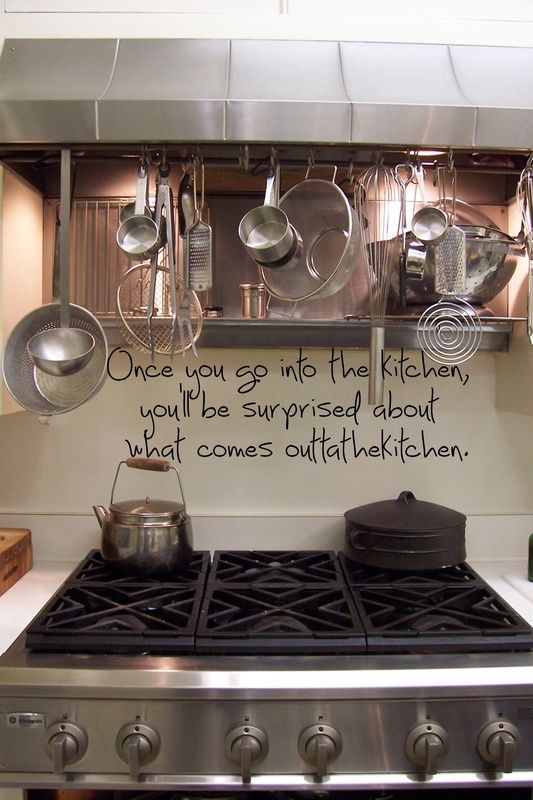 Given that the best tools in the kitchen are attached to the ends of your arms, many cooks want to be sure that their hands and fingers are well-protected. 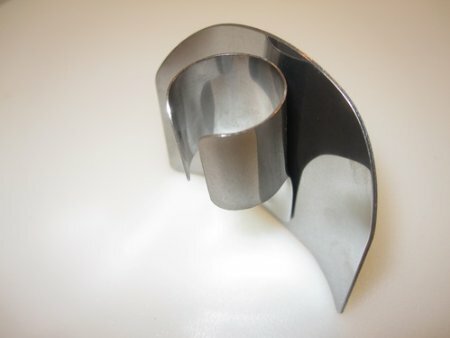 Deglon, famed upscale French knife makers since the 1920’s, has created a stainless steel finger shield worn as an adjustable finger ring. Cooks simply attach the guard to their middle finger, place the bottom edge of the shield on top of the food to be sliced, position the knife against the gadget’s edge, and chop away. 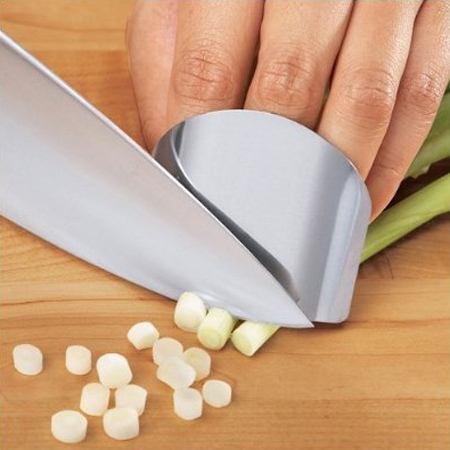 The device holds the food in place, thus eliminating the chance for finger slippage or skittering scallions. 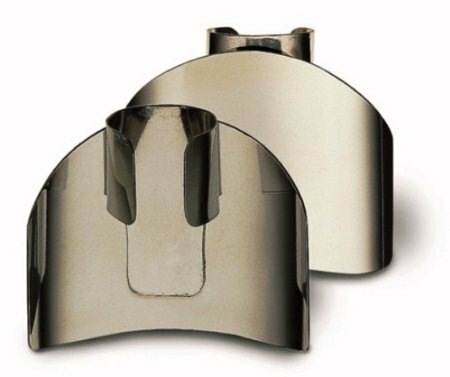 The finger guard is dishwasher-safe and is of a superb welded technology designed to be a long lasting and reliable kitchen tool. Purists may consider using the finger guard cheating, but for many cooks, any device that is well-made, speeds the plow, and builds kitchen confidence is worth it. The Deglon shield sells for $9.95 and is sure to keep fingers firmly attached. Billed as a new “party fork,” this wearable utensil ought to get the party started. You’ll avoid sticky fingers and dropped cutlery as you efficiently skewer shrimp or veggies for dipping. No mess and no waste of plastic forks with this wolverine styled picker-upper. 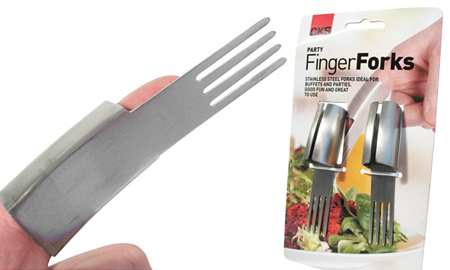 Made of stainless steel and guaranteed to bring some fun to the party, this finger fork will be a real hit at a buffett, picnic, or party. One size fits all as the Finger Fork is adjustable, and this technology can be helpful to individuals with compromised hand and finger mobility. But beware of double dipping. No knives were involved in the making of this kitchen gadget. 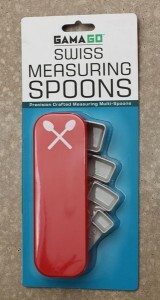 Made of dishwasher safe plastic, the set of square-shaped measuring spoons is great for hands free measuring. Just lay it flat and pour . 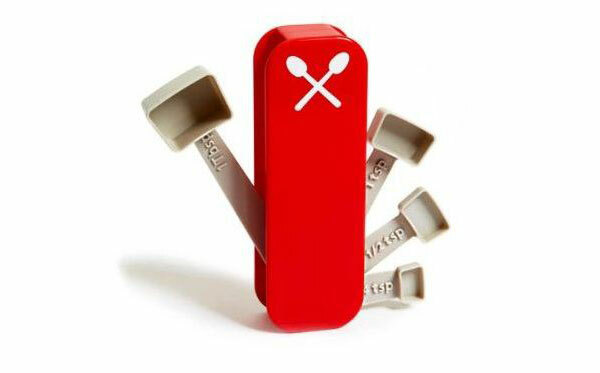 The compact design lets spoons fit nicely into the jackknife sleeve for easy storage (and child safety). 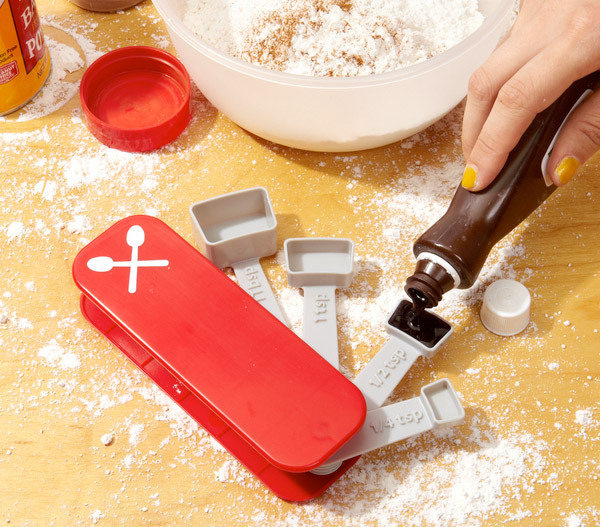 Hammacher Schlemmer, the high end department store for people with money to burn and an extreme obsession with gadgetry, is now offering a talking measuring cup. Its unbreakable plastic construction holds up to three cups of whatever you need to measure. 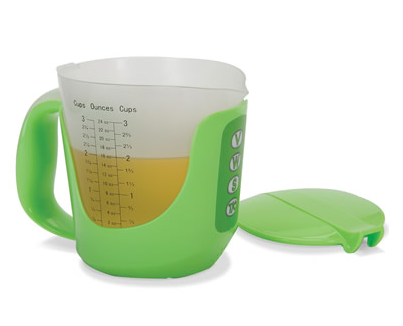 This sophisticated device reads and announces the amount of either wet or dry ingredients in the cup by discerning density and then reports the amount in cups, milliliters, or by weight. Throw it in the microwave with confidence and into the dishwasher for easy clean up. This user-friendly item sports a flip-up lid and yes, as you probably guessed, requires two AAA batteries to operate. Talk about minimalist design! Looks more like a Twister game mat than an induction oven. Slick! And probably for a good reason! Another novelty thingamajig is thrown onto the junk heap of useless kitchen gadgets.